Originally serving as an ambulance, this rig was retrofitted for manpower transport & traffic control. First due to traffic control calls, second due to auto accidents & when special called, it seats 8 (5 with SCBA) and is equipped with a large quantity of traffic control equipment, a mini refrigerator for rehab supplies, assorted extinguishers and a large quantity of absorbent materials for spill control. 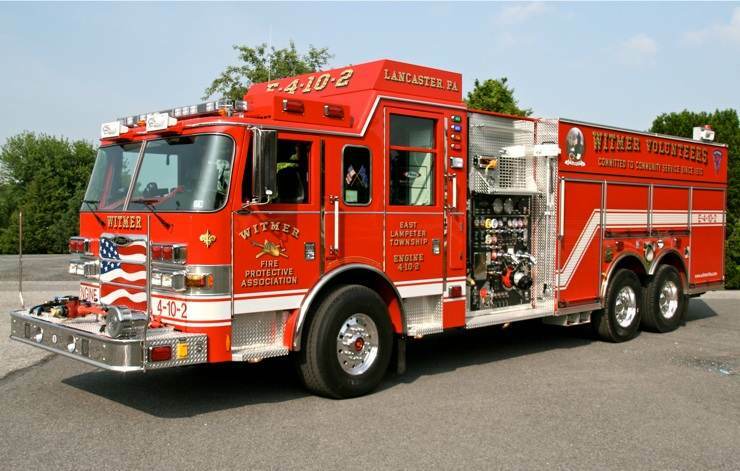 Operating as a rescue engine, it responds first due to auto accidents, rescue calls & brush fires as well as acting as the primary drafting apparatus for water supply. With seating for 8 (5 with SCBA), it features a 15KW hydraulic generator, 250’ cord reel with junction box & a 15’ 6,000 watt light tower. Its’ firefighting arsenal includes (2) 200’ 1 1/2” pre-connects, (2) 250’ 2” attack lines on reels, 200’ 2 1/2” blitz line with a Blitzfire monitor, 450’ of 3” & 250’ of 4” supply line, 1,550’ of 5” LDH (setup for a single or double lay), a 5” gated manifold with (4) 2 1/2” discharges for fill site operations, 10’ & 12‘ 6” hard suctions, assorted extinguishers, a water powered PPV fan and thermal imager. For rescue operations, it features a Holmatro CORE rescue tool system, air bags, a chain saw with carbide chain, reciprocating saw and large amounts of cribbing. 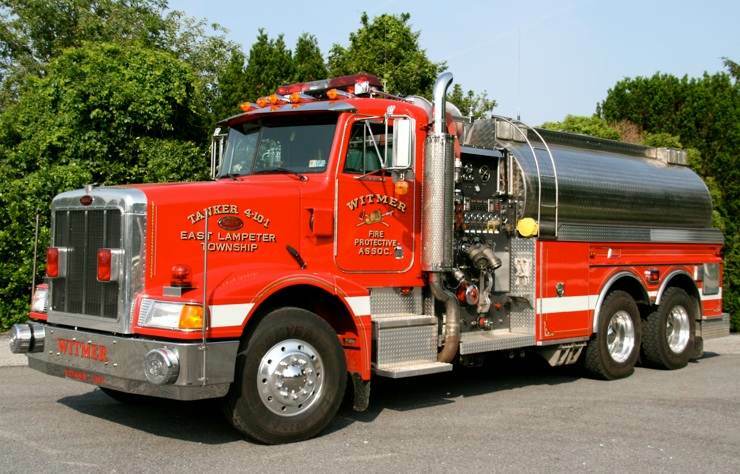 Tanker 4-10-1 - 1994 Peterbilt/New Lexington 1750 gpm/3000 gal. Responding first due for mutual aid tanker assists as well as third due in its’ home response area, it is set up to operate in a tanker shuttle or as a nurse tanker using single or dual folding tanks. It features (3) 10” air operated side & rear dump valves, (2) 3” gated dry tank fills with Storz couplers, (4) LDH discharges, assorted pony lengths of 4” & 5” hose, a set of 5” hose ramps and a 3,500 gallon folding tank as well as (2) 200’ 2” attack lines on reels and 2 SCBA’s. 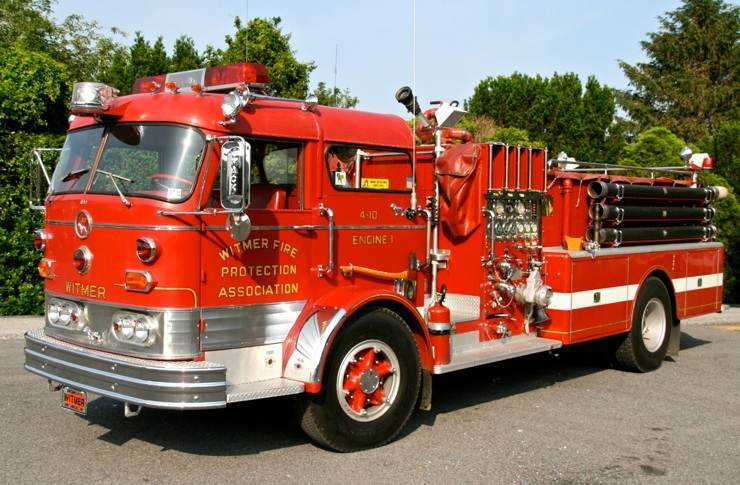 Engine 4-10-1 (Retired) - 1966 Mack “C” 1000 gpm/1000 gal. 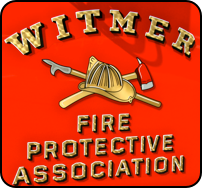 The pride of Witmer, it features crosslays added by the department (not a common feature on a ’66 Mack!!). Engine 4-10-2 - 2009 Pierce Arrow XT 2000 gpm/2500 gal. 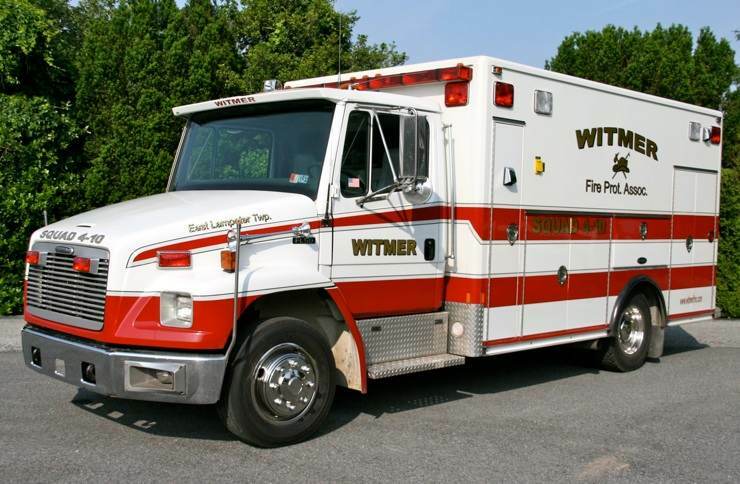 Placed into service in 2010, it seats 6 & is equipped with a total of 10 pre-connects, 1,100’ of 5” LDH supply line and a 6,000 watt 15’ light tower. It replaced a 1988 Duplex/Grumman 1750 gpm/2500 gallon pumper-tanker. Special thanks to for assistance to Asst. Chief Chris Kauffman for his hospitality & assistance in positioning the rigs & providing background information on the company’s operations. 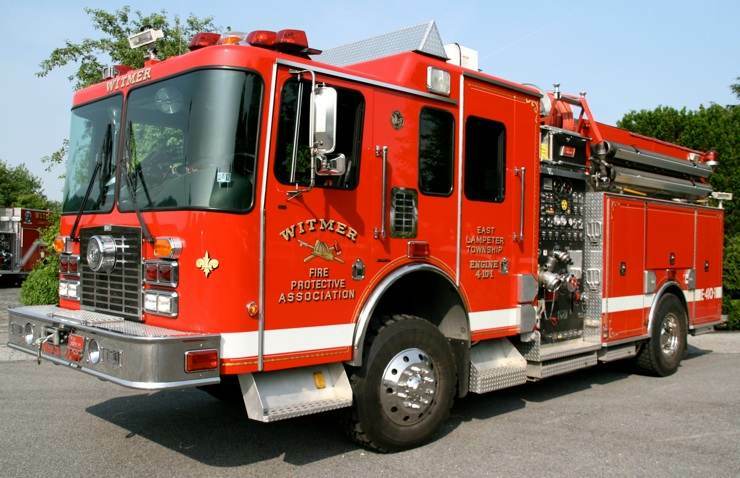 Celebrating 100 years of service in 2010, Witmer provides Fire & Rescue protection to East Lampeter Township serving a primarily Amish farming community. Sixty volunteers (many from the Amish community) answer an average of 180 calls annually. 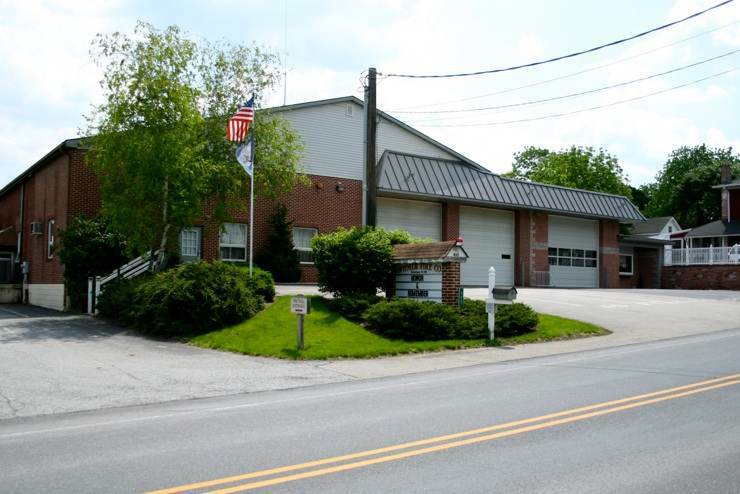 Witmer operates their entire fleet from this four bay firehouse.